With the strains of 2016 just barely breaking through, a strong candidate for the most appropriate title of the year has emerged. Instead of being the name of the record, ECHOES OF THE DREAMTIME is a heaven sent quote to describe its sound which floats in a celestial haze throughout a pleasurable forty-five minutes spent within listening distance. 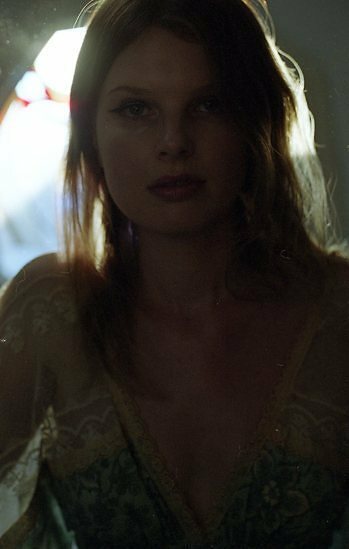 In fact to be more accurate, Miranda Lee Richards has been the source of a gorgeous album packed full of ethereal ambience while being underpinned by a sturdy substance. For definition purposes, the album resides at a multi-sound junction where the paths of folk, pop, indie and Americana meet. It has hardly been a prolific solo recording career for Miranda, a San Francisco born LA native, with this just being her fourth full length release since 2001. However if such inactivity in populating her own solo back catalogue has led to bundles of suppressed creative energy, then the clear winners are those who will be smitten by the new record. The Californian laid back feeling may just be an illusion for those of us thousands of miles from the Pacific west coast, but this idyllic concept is further fuelled by melting your senses into the eight tracks which configure the album. 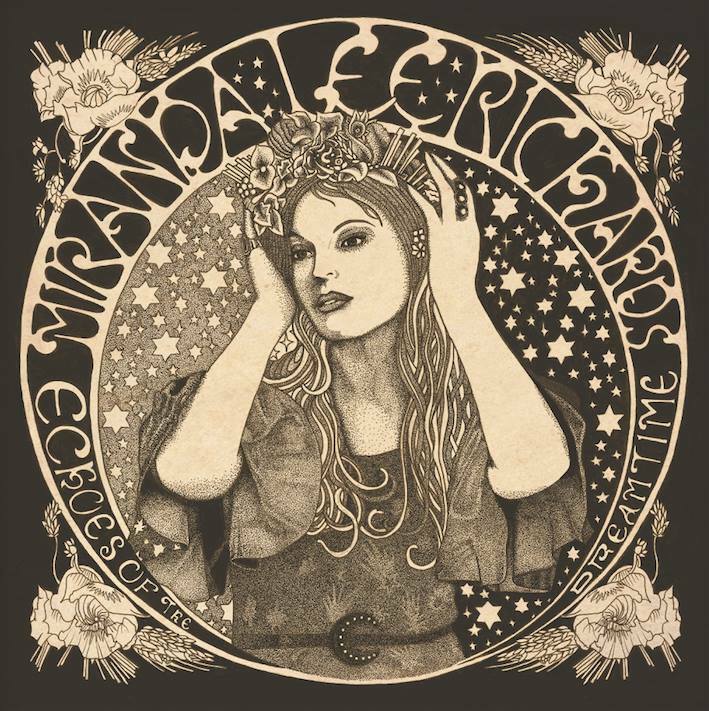 Don’t be misled by this apparent low number as plenty of six and eight minute songs are on offer, each blending Miranda’s sumptuous vocals with a mix of indie-driven subtle guitars and more cultured string arrangements. The album is being given a worldwide release through Invisible Hands Music and is virtually a home produced record with Miranda’s husband, Rick Parker undertaking the production role. The team have certainly come up trumps with perhaps two tracks vying for number one appeal led by the great hooks and delightful melody which adorns ‘Tokyo’s Dancing’, with the added enticing appeal of a super guitar solo in the final stages. ‘First Light of Winter’ is a track with a faint slice of twang that builds up to a soaring chorus. There is definitely an indie vibe to both the acoustic and electric parts to ‘Little Radio’ which almost sees the album break out of its shell. However this shell is far from restrictive and adds a comforting protective feel which gives the record a soothing medicinal purpose. It is always handy to possess an opening track with an addictive feel as well and the excellent ‘7th Ray’ pulls this off to a tee. These four aforementioned tracks comprise of the record’s first half with there being a slightly different atmosphere to the second part which climaxes with the dream-laden ‘Already Fine’ where the cello kicks in. Prior to this, the eight-minute epic ‘It Was Given’ continues to mesmerise the listener in perhaps a softer vein than the early stages, but also allowing them to focus more on Miranda’s vocals. It may be a co-incidence but Miranda had a surge of success in Japan early in her career and the track ‘Julian’ does have a slight Eastern mystique to it. ‘Colours So Fine’ completes the track listing and further merges into the well-worn philosophy of an album entity being greater than the sum of its parts. Obviously lesser releases lean heavily on stand-out tracks, but this record has its soul firmly rooted in the complete album camp. ECHOES OF THE DREAMTIME is the antithesis of a throw-away society where shallow music is consigned to the wallpaper or the trash bin. The underlying high quality riffs and beats secure a solid base for Miranda’s vocals to melt the heart with the added bonus of eight marvellously constructed songs. It may only be January, but there is almost a summer glow to the record. Miranda Lee Richards has obviously kept this gem under wraps until now, with a firm prediction that it will float around for a long time.